Ashtavinayaka or the eight Ganesha tour happens in the state of Maharashtra. Ashtavinayak darshan is a pilgrimage that covers the eight holy temples of Lord Ganesha. There are different names of Lord Ganesha in the different parts of the world. The few names for Lord Ganesh are Moreshwar, Mahaganpati, and Chintamani, among others. The mountains, lush greenery, and smooth roads make the tour even more captivating, splendid and amazing. Affordable: We offer you the best Ashtavinayak Darshan tour package from Pune, so that your trip is well-planned. 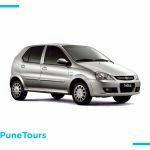 Reliable: Pune Tours is in this competitive market from a very long time, and that’s the reason why we are reliable and trustworthy. Online booking: We are a team of efficient staff, and thus, our organized customer service is open at any point in time that you need us. Clean Cars: We have well-maintained and clean cars, so that our customers face no issues. Cars: We offer a different collection of cars like Sedan, Nissan Sunny, Swift Dzire and many more. If you are a larger group, you can travel in our minicabs, Tempo Traveller 13 seater, with AC and Push Back seats, which are add ons. Comfortable Seating: You can sit comfortably and enjoy the ride without any hassle. Ashtavinayak is a peaceful pilgrimage in the state of Maharashtra. It is famous as the house of Lord Ganesha. 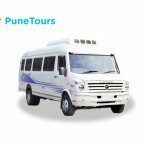 Pune Tours has given many devotees a convenient and safe journey. 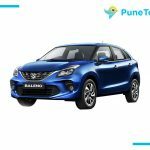 You can hire a cab in Pune, rent a Tempo Traveler, or book a Tata winger in Pune. If you want to enjoy the complete pilgrimage of Ashtavinayak, then book a cab for Ashtavinayak Darshan from Pune, as Pune Tours offers the best cab services for travellers. If you wish for a good and comfortable journey from Pune to Ashtavinayak, then hire car services from the best provider in Pune. You can book cabs online and get a confirmation, without actually visiting the site. You can book a cab to Ashtavinayak from Pune by visiting https://punetours.com/ or by calling us on +91 7721 91 2222.